Table swags are an effective way to create style and dimension to top tables, high tables, cake tables and guest or gift tables. We stock our table swags in organza, satin, vintage Lace & Sequin. 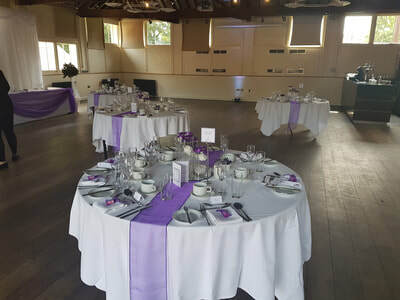 are now also available to hire! 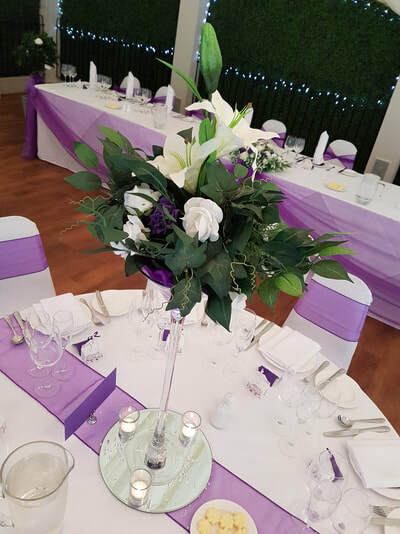 Our Organza Table swags are available in Most Colours and sizes. Our satin Table swags are available in many of our base colours and various sizes to suit Top Tables, Cake, Gift, Candy station and Signing Tables. Our Lace table swags are available in White, Ivory & Black in many sizes. Our sequin table swags are available in Silver and Gold. 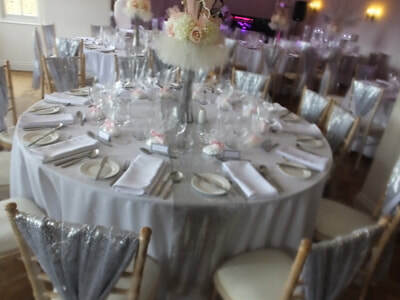 ​We also have Sequin Table Runners and Sequin backdrop Swags in the same colours. Why not book one of our flower table skirts to match your flower wall! We have flower panels to skirt your top table, gift table, cake table even a sweet tablr or registrar table! The perfect addition to any wedding with sparkle! Our 22ft wide white LED starlight top table skirt with detachable white voile swag. Wedding Lace organza sequin and satin Top Table Swags, Cake Table Swag and Gift Table swags Hire, Starlight top table skirt, starlight cake table skirt, wedding table swags, wedding table skirts, satin cake table skirt London, Hertfordshire, Suffolk, Cambridge, Kent, Surrey and Essex: in shoeburyness, southend, southend on sea, rochford, leigh on sea, westcliff, Hockley, Chalkwell, Rayleigh, Benfleet, Thundersley, Canvey Island, Wickford, Basildon, Pitsea, Thurrock, Stock, Billericay, Brentwood, Warley, Langdon, Hornchurch, Bulphan, Dartford, Rochester, Rainham, Dagenham, Southminster, Burnham on crouch, South Woodham ferrers, Rettendon, Witham, Maldon, Braintree, Stanstead, Ongar, Quendon, Cold Norton, Stanstead, great dunmow, Halstead, Colchester, Mountfitchet, Harlow, Bishops stortford, Great Notley, South Ockendon, Gravesend, North Weald, Sawbridgesworth, Lexton, Mersey Island, Ingatestone, Rawreth, nounsley, Wickham Bishops, Goldhanger, Great Totham, Tolleshunt Darcy, Bicknacre, Danbury, Little Baddow, East Hanningfield, East Horndon, Chelmsford, Romford, Barkingside, Ilford and Harlow.